Having already confirmed their first James Bond game was officially in production back in August, Activision have now revealed that a second title based on the 007 licence is under parallel development. Activision CEO Bobby Kotick has said that the company is committed to revitalising the James Bond brand - "one of the greatest videogame franchises of all time" - while revealing the publisher has two projects based on the license in development, reports Games Industry. "We have our best development studios working on the product, we have a second team working on another Bond product and we're putting great resources against it," he added. "Bond is one of the great videogame franchises of all time and that really was a result of GoldenEye 64," commented Kotick at a BMO Capital Markets conference. I think the key to re-energising the Bond franchise is going to be ultimately the highest possible game quality." He was also critical of some of the Bond licenced games produced by the previous licencee Electronic Arts, which included critically-panned titles such as GoldenEye: Rogue Agent. "It suffered a lot because it wasn't a focal point of Electronic Arts' efforts over the past five years and they have such a broad portfolio of franchises that this one didn't get the attention it deserved," said Kotick. MI6 understands the first Bond game produced by Activision will be a blend of elements from Casino Royale and the upcoming Bond 22, which it is expected to ship alongside in November 2008. The game is in development by powerhouse studios Treyarch, Beenox and Vicarious Visions for next-generation consoles, Windows PC and hand-held platforms. Treyarch are understood to be heading up development on Xbox 360 and PlayStation 3 consoles, with Beenox producing the PC version, and Vicarious Visions working on the hand-held platforms. Treyarch recently released "Call of Duty 3" and "Spider-Man 3"
Activision recently announced the acquisition of development studio Bizarre Creations. Besides having another racing title in the pipeline, MI6 previously reported that Bizarre Creations will be working on one of the franchise's that they own, as well. "We believe in brands and franchises not individual titles, so we'll be working with Bizarre to develop a great concept and brand in racing, as well as working with their second team, which is very talented in the action genre. This team will most probably be working on a property that Activision already owns," said Activision's EVP, Robin Kaminsky. 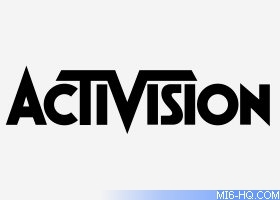 It has not been confirmed that Bizzarre Creations are developing the second Bond title for Activision. 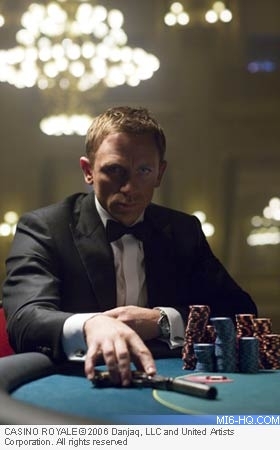 In related news, Daniel Craig recently admitted he was an avid gamer, but that he wasn’t overly keen on being involved in a videogame based "Casino Royale". He said, "When I started signing contracts for Bond I said, ‘I’m not doing the computer game’ and they said, ‘Tough, you are’. “I said to the people making the Bond game, ‘You’ve got to make this good because there is so much rubbish out there.’"
Eighteen months have now passed since it was first announced that Activision had signed a new licence to produce James Bond videogames taking over from Electronic Arts. The reason for the relative silence was due in part to the overlap in licences - EA's agreement concluded in September. Under the terms of the licencing agreement which lasts until 2014, Activision hold worldwide rights to create video games for all current and next-generation consoles, PC and hand-held platforms. The license grants Activision the right to develop and publish games based on all of the James Bond movies, as well as non-movie based games.